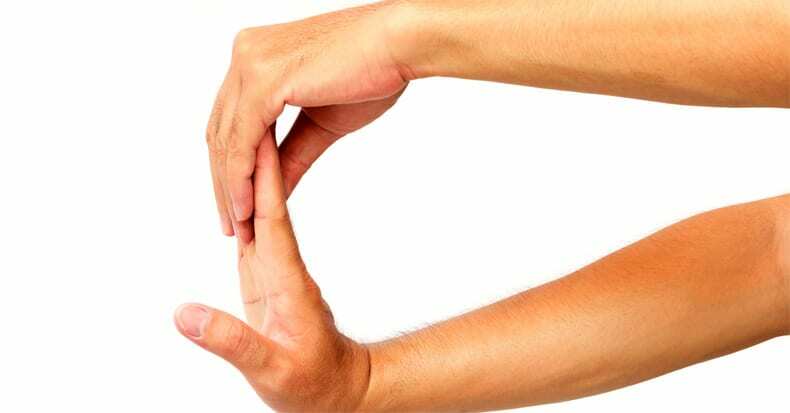 1) Rotate the wrist in multiple directions—up, down, side-to-side, and figure 8s. 2) Spread your fingers as wide as you can and pull the fingers back using your other hand (or a wall) keeping the elbow straight. 3) Repeat step two, but this time, stretch the thumb back. Repeat the above exercises three to four times and focus on feeling the muscles “release.” Try to do this three to five times a day, ESPECIALLY during the busy work day to “break-up” the monotony of fast, repetitive work tasks that can increase heat and friction in the sheathes surrounding the tendons that pass through your wrist.